Teeth whitening is a simple dental treatment that is used to change the color of the natural tooth enamel. It is an ideal way to enhance the natural beauty of your smile. Having whiter teeth is now one of the top concerns for patients today. Because of this it is important that your dentist evaluate replacement of any old fillings or crowns. Replacement of any restoration done on the front teeth should, most likely, be done after bleaching is done so the shade of the new restorations will match the teeth. Whitening is not a permanent fix for the teeth. Touch-ups will need to be done every once in awhile and more often if you smoke, drink wine, coffee or tea. 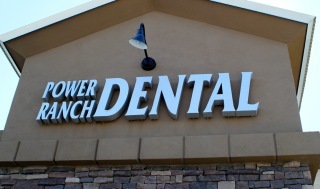 For more information about tooth whitening, give Power Ranch Dental a call at (480) 988- 2282.